The Best Asian Living Room Designs | Check It Out for More Details! Every people must want to have a good and beautiful living room. Unfortunately, they often confuse to decide which design that they should use. There are so many living room designs that we can take as an example such as the European style, American style, or Asian style. Today, we would like to share one of those styles. And Asian living room designs is the one that we choose because Asian style is really unique and different if we compare with the other living room design. 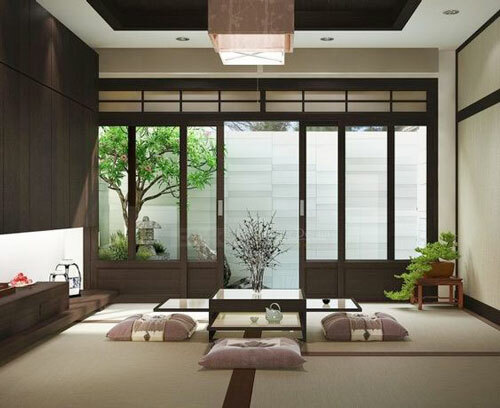 Here, we have categorized it into two types, Japanese and Chinese living room design. The living room design of Japanese people can be said as the most unique in Asia. There are so many things that make them hold the predicate such as the furniture, decoration, and flooring. Below here, we have some examples that you can see. Actually, this living room design is not using too much furniture. It often uses the Japanese traditional furniture such as Kotatsu (a wooden table which covered by a thick blanket and has a heater below it) and Zabuton (a legless chair which has a square and small mattress that is used when sitting on the floor). The other furniture like shelf and sofa sometimes also can be found in this design. For the decoration, this design often uses some plant such as bonsai or bamboo which placed on the corner of the room. Also, there are some traditional painting that can be used to increase the impression of Japanese style living room. Japanese living room design often uses Tatami or wooden plank as its flooring material. Tatami is a type of mat which used to cover the floor of the Japanese house. This flooring material can be used almost in every kind of room. But, the living room is the most common room which uses Tatami. 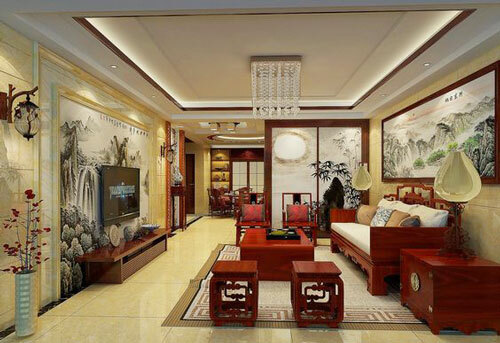 Chinese style is the other good example for a good living room. The design is much influenced by the culture of Chinese people. Here are some designs that we have prepared for you as an example. We also give an explanation about the furniture, decoration and the flooring of this living room concept. The Chinese living room concept often uses the wooden furniture for its chair, table, shelf, and much more. The design of its furniture also looks more artistic than the furniture from the other concept. A screen room divider sometimes used to divide the living room into two sides as well as to beautify the look of the living room. There are so many decorations that can be used for this concept. The most common one is the Chinese painting like on the first picture above. 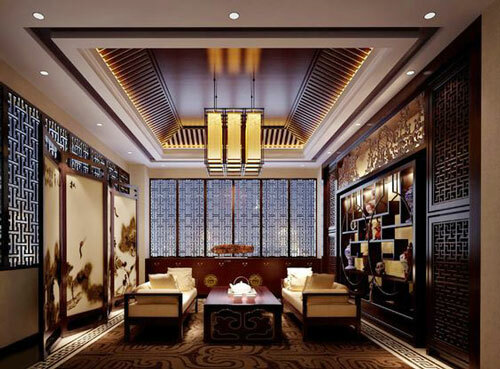 The other decoration with the Chinese culture touches such as an antique jar, wall lantern, vase, and carpet will make the impression of this concept increasingly felt. Large tile or carpet which covers the whole floor are the most common materials which used as the flooring ideas. The use of large tile will show the luxury of the living room itself where the carpet will give the sense of comfort and warmth. 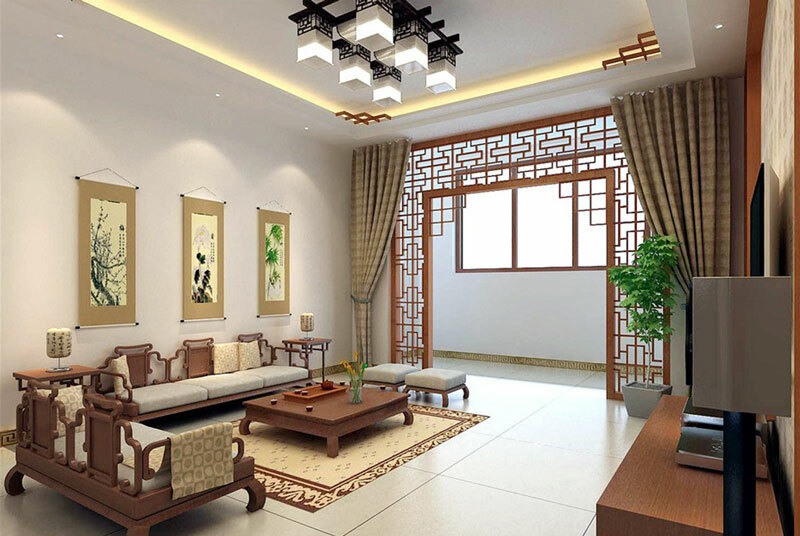 Those are the two Asian living room designs that we can share with you. Hopefully, the design above can be useful for you in finding the best design for your living room. And if you want to find more about home design, you can visit Roohome website which we often used as our source in sharing the home design. So, thank you for reading and see you next time. Posted in InformationTagged chinese, design, japanese, living roomLeave a Comment on The Best Asian Living Room Designs | Check It Out for More Details!